Archipelacon is the big event of 2015 in the Nordic countries for everyone interested in science fiction and fantasy. It’s a four-day celebration of the fantastic arts in the new Culture & Conference Centre Alandica by the seaside in Mariehamn, Åland. Archipelacon will offer you several programme tracks with presentations, panels and lectures on all aspects of science fiction and fantasy. The main language will be English, but there will be programme tracks also in Finnish and Swedish. The convention will also host the Finnish SF and Fantasy Researchers Network’s annual academic conference. Archipelacon will be a meeting place for science fiction and fantasy fans from all over the world, an international convention with a Nordic flavour. 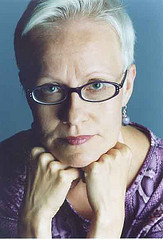 Johanna Sinisalo is currently considered a "single author." If one or more works are by a distinct, homonymous authors, go ahead and split the author. Johanna Sinisalo is composed of 3 names. You can examine and separate out names.